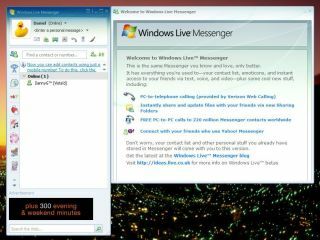 The latest version of Windows Live Messenger has now gone live. Version 8.1 includes some feature updates; however, it's mostly behind-the-scenes stuff that's been bumped. The most crucial update is that a user's display name, status and personal expression will follow them to any PC they sign in on. Contact cards have changed too. The display name has always been stored centrally, but now the statement after the display name will remain the same wherever the user is. The move will frustrate those who use the statement as an indicator of their current location. Some updates have also been made for better security and server performance. Windows Live Mail has been drastically altered as well. Amusingly, the classic version of Windows Live Mail has been made to look more like Hotmail. It seems the winds of change don't go down well with Hotmail's old userbase. Users can now switch between Classic and Full whenever they wish by using the Options tab. There is much better compatibility with Firefox, while there's also a new Today page. Other tabs and buttons have been altered for ease-of-use.